A view from different PLACES | Broadview Collaborative, Inc.
As I write, it’s 20 degrees outside here in Racine, Wisconsin. This stands in pretty stark contrast to the 80-degree days I enjoyed just a few short weeks ago during a trip to Miami. I’m honored to be a recipient of a 2013 Funders’ Network for Smart Growth and Livable Communities PLACES Fellowship. 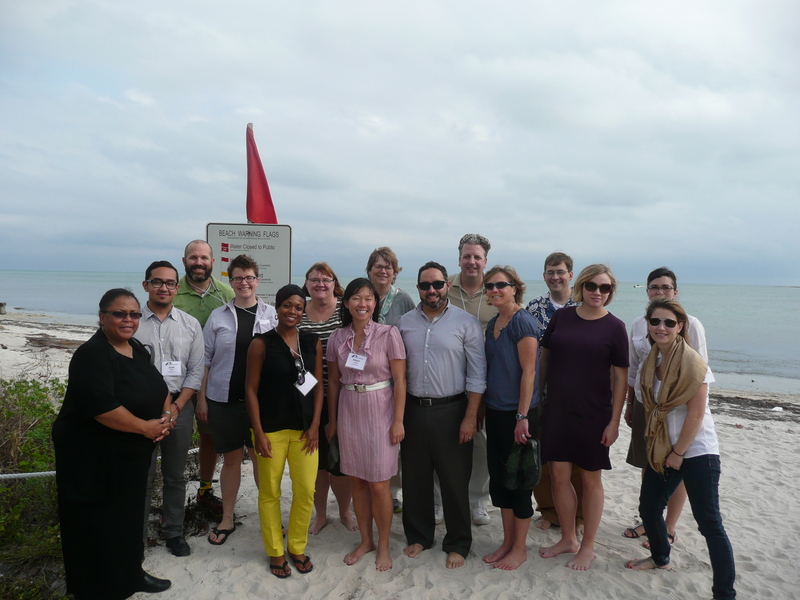 PLACES is mercifully short for “Professionals Learning About Community, Equity and Smart Growth,” and our first in-person meeting was held in Miami, Florida (also merciful, as previously alluded to). As the name implies, a big part of the PLACES fellowship focuses on visiting organizations doing innovative work, and I got to meet with folks from several organizations in Miami. Little Havana is on Miami’s south side, and it’s home to ConnectFamilias, a comprehensive, family-focused care provider. ConnectFamilias doesn’t focus on any one aspect of family care, but rather seeks to build a stronger community through stronger families and individuals. They aim to deal holistically with the issues facing Little Havana, realizing that rising rates of HIV/Aids infections, drug addiction and mental health disparities aren’t individual problems but systemic issues affecting the entire community. It was great to hear directly from volunteers, many of them former clients of the organization, about their passion for serving their community. They see the effects of the positive change they work so hard to achieve, and their commitment is inspiring. West Coconut Grove is also on Miami’s south side, and there we met with staff from a couple of organizations working together in service of one of Miami’s most impoverished neighborhoods. The Coconut Grove Collaborative (CGCI) works to retain current and attract new residents to the neighborhood by improving neighborhood and business development. This is a neighborhood bordered by exceptional affluence, and these community leaders work hard to promote West Coconut Grove. Though it is often slow-going, they’ve seen huge drops in crime and greater investment in the neighborhood—including reducing traffic speeds and making the walking more pleasant on Grand Ave. to attract more business—with high hopes for the future. Just next door to CGCI’s offices is the Thelma Gibson Health Initiative, an organization addressing health care disparities and educational challenges undermining quality of life in the community. Like ConnectFamilias, TGHI sees the problems of the community as interconnected, and provides counseling, drug addiction outreach and illness services in addition to basic health services. Working collaboratively, these organizations make positive change a reality. In all of these groups, I saw a strong leaning toward transformational leadership, or leadership that seeks to change culture as opposed to making small changes within it. Collaboration is of utmost importance to these groups, as is boldness. In my work at the Foundation, I hope to emulate this type of leadership. I was equally inspired by our guest speaker and mentor for the year, dr. john a. powell, and all of my amazing co-fellows. I go to a lot of conferences (What can I say? It comes with the job). In my experience, there are two kinds of groups – a group that is professional but distant, and a group that feels like they’ve known each other for years. I’m very happy to say this class of Fellows falls firmly into the latter camp. I can’t wait for Memphis in March!